Can you believe that Easter is right around the corner already? It’s in March this year, which means that Spring time comes that much earlier. At least that’s my thinking living in North Carolina now. It’ll be in the high 60’s this weekend! In order to get a little spring in your step about history, I made this adorable Easter Bunny Egg Ring that is also delicious. 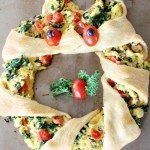 Before we get into the technique, I have to say that I love this recipe largely because it was super easy to sneak in kale and tomatoes, which are two ingredients that my girls normally never eat. Somehow, I’m guessing it was the cuteness factor, they didn’t even notice! 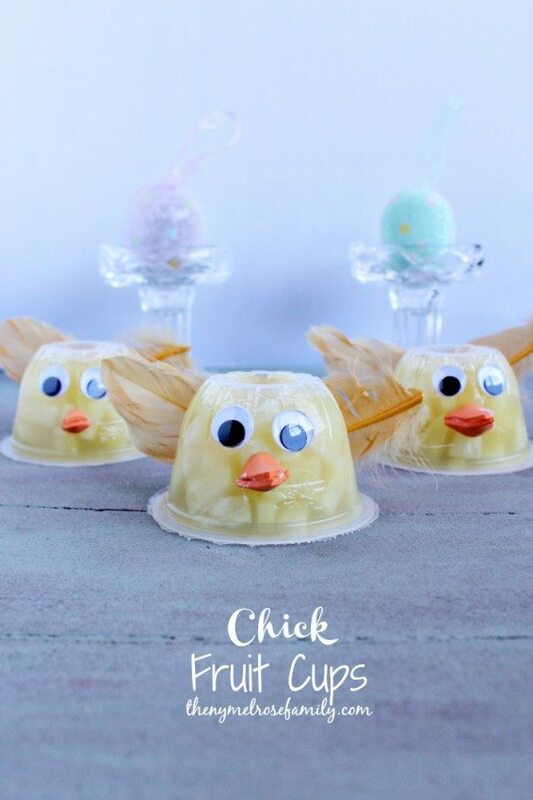 In order to create this adorable guy, you’ll need to place a bowl in the center of a cookie sheet. I’m a huge fan of these cookie sheets because they don’t have any edges that can get in the way when you lay out the crescent rolls. Plus, they’re super easy to use when making cookies or even pizza as well. Before placing down your crescent rolls, be sure to spray the cookie sheet with cooking spray. We love this one from Trader Joe’s that is coconut oil. In order to create the ring, you’ll need to place the crescent rolls around the bowl and create something that looks similar to a sun. So the points will be facing out. 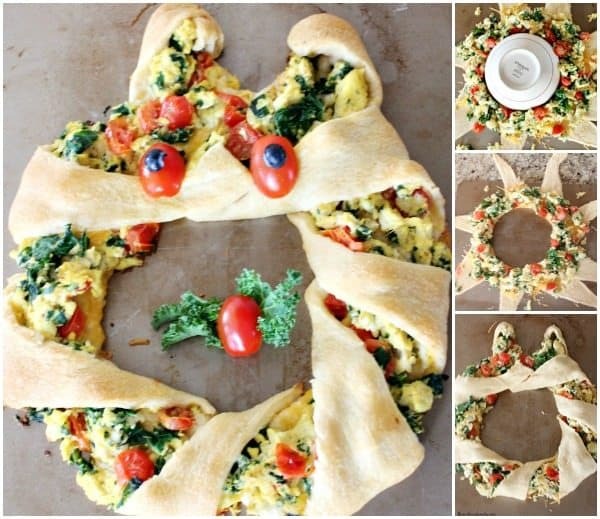 Be sure to connect the bases of the crescent rolls around the bowl because this will keep your egg mixture in place and make it easier to serve. Once you’ve cooked the egg mixture, place cheddar cheese around the inside of the ring and then place the egg mixture on top. 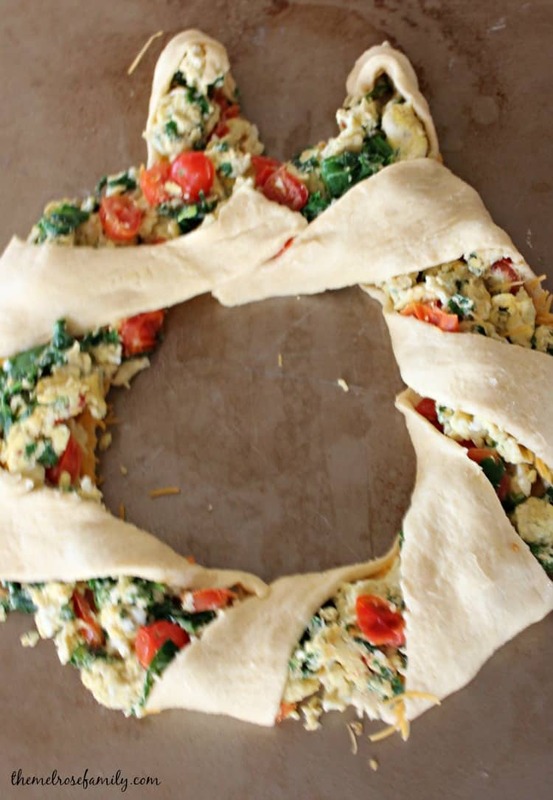 Now overlap the rays of the crescent rolls so that the egg mixture is wrapped. You’ll notice that in order to make the ears I simply wrapped the roll to create the shape of an ear at the top. Before placing the bunny into the oven, remove the bowl from the center and make sure that everything stays in place. Once the mixture is baked, simply add two halved tomatoes and two halved blueberries as eyes. I used a piece of kale and another half of a tomato as the whiskers and nose. I would also be sure to time this so that you can present it to your kiddos or family as a bunny and then slice right into it. Otherwise, it is likely to get cold quickly since you are dealing with cooked eggs. You can always reheat it, but it is best if served warm. 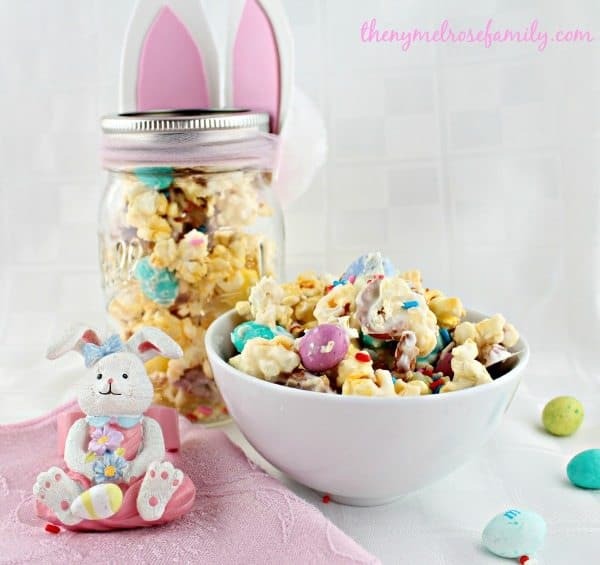 The cutest breakfast meal to ever hit the table for Easter that is not only adorable, but so tasty! Preheat the oven to 375 F and grease your cookie sheet with cooking spray. In a large bowl combine your eggs and milk. Pour into a skillet and add salt & pepper to taste. Add in the diced grape tomatoes and chopped kale and scramble the eggs. On a cookie sheet place a bowl in the middle and spread the crescent rolls out with the width of the crescent roll along the side of the bowl so that you create what looks like a sun. 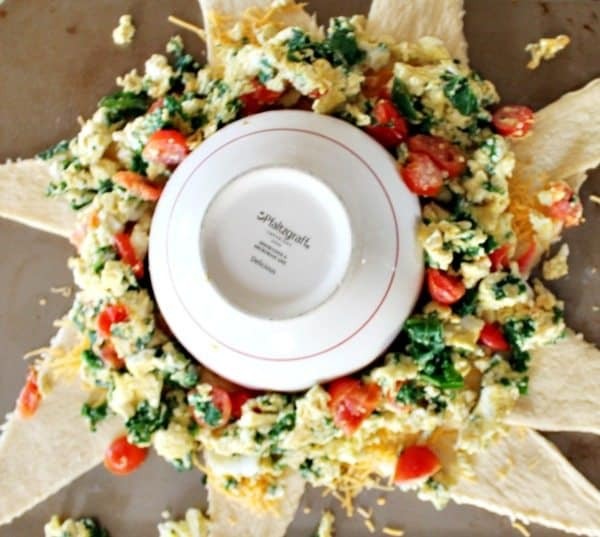 Place the shredded cheddar cheese around the inside of the ring and top with the scrambled egg, tomato and kale mixture. Wrap the crescent rolls around the egg mixture and connect each roll to the next one. 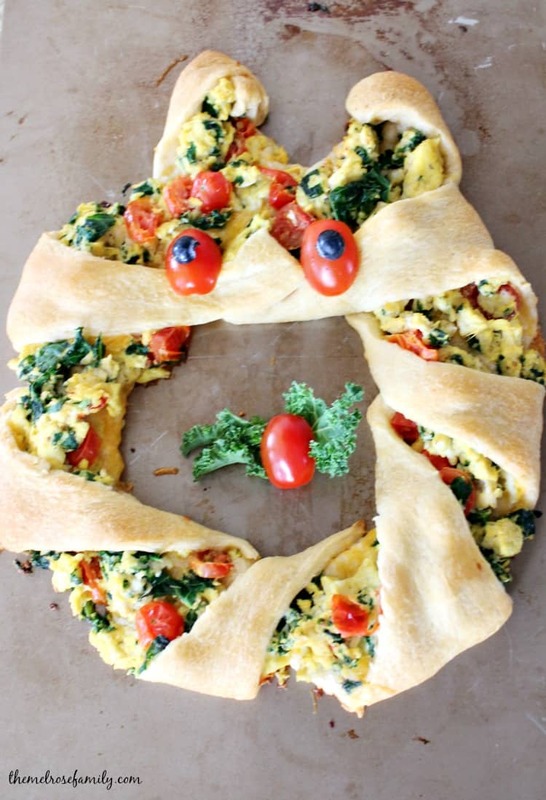 In order to create the bunny ears, have the crescent rolls stand up straight rather than wrapping around. Bake for ten minutes at 375 F or until the crescent roll is has a brown, baked look.